The sixteenth Fatality was surprised to find herself on a bridge, but that was where her appointment book told her to go, and thus, that was where she went. Not that she had a choice either way, but she didn’t mind, she liked the order, the predetermination of things. Car after car drove by, and she watched them, looking closely, knowing all the while that they couldn’t see her. A little after eight in the morning, she noticed a car moving erratically on the bridge. She watched as the car seemed to spin, and then crashed through the wooden guard rail and into the water below. She looked over the edge of the bridge as the car; front end first, began to sink into the depths. She peered down the road, waiting for another car to come, some passerby to notice the broken guard rail, someone to help the passengers. After a few minutes passed, she began to wait for someone entirely different. A. This may be unusual, but I do not write every day. When I do sit down to write, I try to write about 1,000 words at a time. I don’t wait for inspiration, but I try to find time in my schedule, for two or three times a week. I try to put on music based on what I think my character might listen to help me get in the right mood and then I write. For editing, I can’t recommend enough reading it out loud. That may be the only way it works for me. A. The biggest research I did was into the ICD-10 codes. In The Last Ghost there are 16 different fatalities, which are the embodiments of death, based on the cause of death. I had to learn a lot about the different official causes, and which are most likely to decide which cause would get which Fatality. 3. What are you working on now? Any chance of a sequel? I am currently working on a book about a championship winning high school girls’ basketball team, and whether you make your own luck—even bad luck. I had always contemplated The Last Ghost as a stand-alone, but lately I have been thinking about a possible sequel. The Last Ghost was actually inspired by an optical illusion. There’s an illusion called a subjective contour which is when your brain fills in the edge between things, even if there is nothing there. I was thinking of that as a metaphor for ghosts. At the same time, I had some tragic losses when I was a teenager, and I found there were not a lot of books that explored what I was feeling—that there was a mistake. 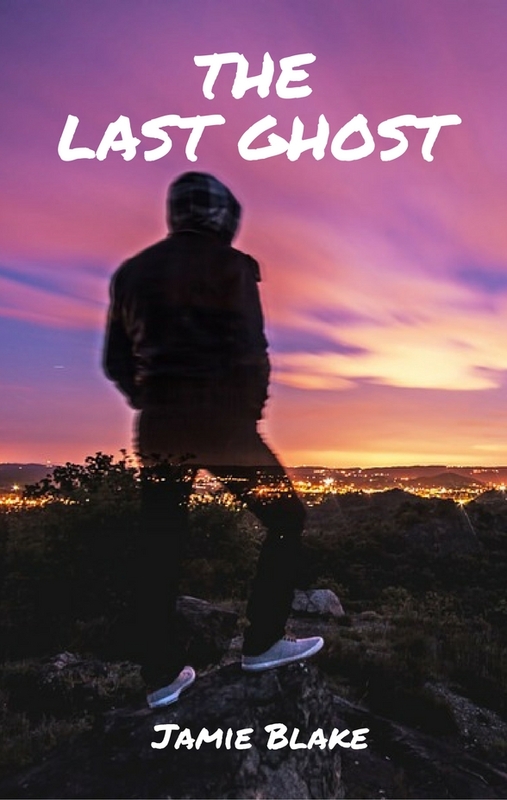 Then, the Last Ghost sort of asks the question, what if Death thinks they made a mistake? So together, that question and the idea of the subjective contour created The Last Ghost. I love TV. My biggest recommendation for tv is The Good Place. I didn’t watch it in season 1 because I thought it was over-hyped. Turns out when they were saying it was the funniest thing on TV, they were correct, it is the funniest thing on TV.